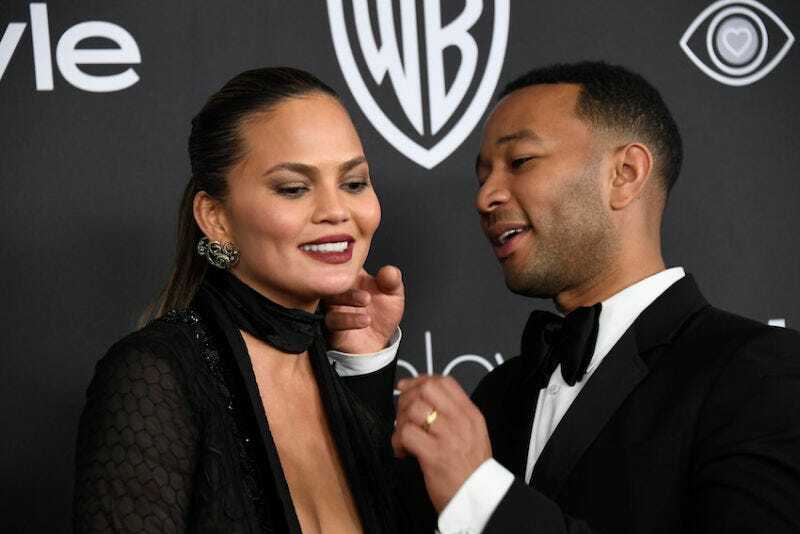 What began in 2014 as a single viral joke has since mutated out of control so that now Chrissy Teigen is forced to beg her fans to stop sending her pictures of babies who resemble her husband, John Legend. Three years ago, Teigen was excited to see that picture of baby Caden, who looks a bit like Legend, yet she was also already signaling that her enjoyment of the meme would be brief and to please respect that (she tweeted at the time, “Oh my god please stop I have seen the baby that looks like john”). Teigen has also tweeted of late about how people sometimes remark that Legend looks like the cartoon character Arthur the Aardvark, to whom she still seems generously disposed.